Today the first teaser trailer for Star Wars: The Force Awakens premiered in selected theatres in the US and, as hoped, online for the rest of the world. 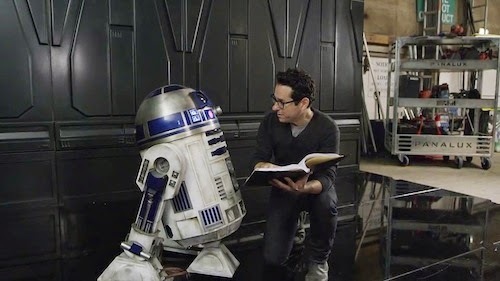 Director JJ Abrams distills my childhood in 88-seconds! Is that the voice of Benedict Cumberbatch or Andy Serkis as a Sith Lord? The new Stormtroopers look awesome and I teared up when the Millenium Falcon soared on screen with TIE Fighters in hot pursuit. John Williams music, recorded recently by the London Symphony Orchestra (LSO), was an urgent reprise of the Sarlacc pit battle from Return of the Jedi and culminated in a triumphant rendition of the iconic main theme from Star Wars. Did it stir excitement for the new movie? Let me know in the comments below. 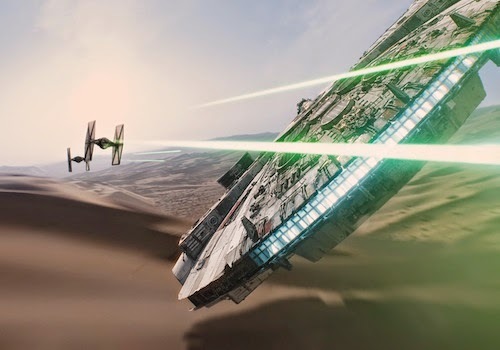 Disney unveiled the official title for Star Wars: Episode VII on Twitter! No waiting until the first teaser trailer to reveal the hotly-anticipated subtitle. Social media has changed the landscape of marketing and this is a sign of the times in an era of instant gratification. The title was met with enthusiasm and derision in equal measure. However, it's better than Attack of the Clones and the Star Wars font dwarfs the subtitle. 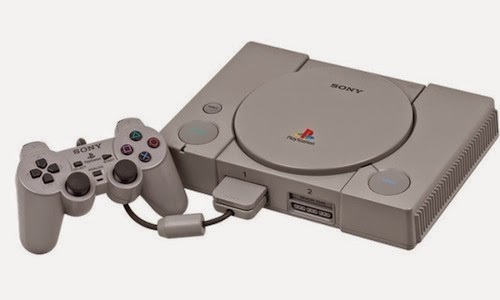 Keeping it old school. The Force Awakens sans Episode VII evokes the original trilogy and alludes to the possible central threat in the new Star Wars trilogy. A Sith uprising and a desperate search for Luke Skywalker who has been in hiding since Return of the Jedi. This is only fun speculation and fans will have to wait until December 2015 to discover what JJ Abrams and his Bad Robot cohorts have in mind. What do you think of The Force Awakens? Let me know in the comments below. 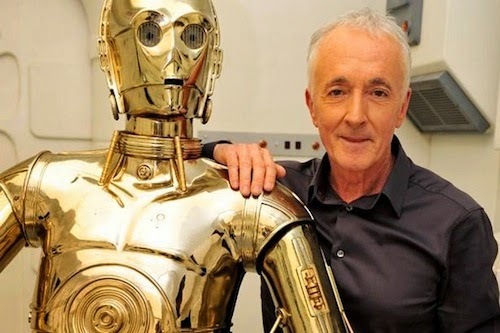 Filming of Star Wars: Episode VII wrapped last week and Anthony Daniels (C-3PO) took to Twitter to suggest the movie may be the best yet! Eclipsing The Empire Strikes Back no less. The as yet untitled next installment in the Star Wars saga, currently in post-production, won't be released until December 2015. Do you think Episode VII will surpass Empire? Let me know in the comments below. Following the Marvel Event, which heralded the announcement of 8 movies spanning the next five years, the first TV Spot for Agent Carter has been revealed. Can Peggy Carter hold her own in a television schedule boasting Arrow, Constantine, Gotham and The Flash? Agent Carter's eight-episode mini-series begins this January on ABC. No news regarding UK transmission dates. Disney re-releases classic LucasArts Star Wars games! Disney is re-releasing classic LucasArts games, including Star Wars tie-ins, in association with GoG! "We're proud to announce a new partnership with Disney that allows for the DRM-free release of about 30 classic titles from [LucasArts]," the company blog post reads. "Today, to start with a bang, we are releasing a selection of 6 acclaimed titles from Lucas' most famous gaming franchises, so that the Disney/Lucasfilm catalog on GOG.com is made impressive from day one." 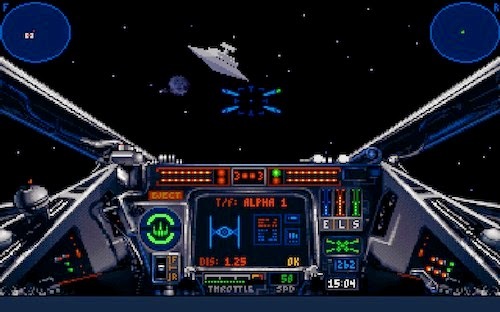 X-Wing and TIE Fighter passed me by back in the day; primarily because I'm a Mac User and was enthralled by Dark Forces and Rebel Assault II: The Hidden Empire. Which LucasArts games would you like to see? Let me know in the comments below. Here's one for Amazon Prime subscribers. 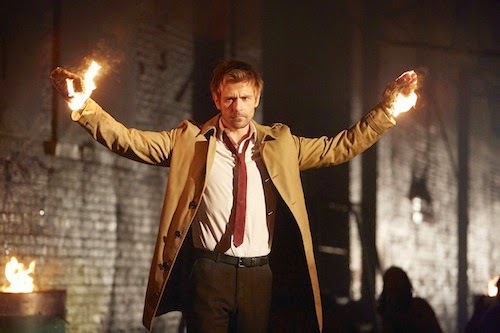 DC Comics' Constantine joins live-action stablemates Arrow, Gotham and The Flash on the small screen. Constantine stars Matt Ryan in the titular role of John Constantive and is co-produced by David S Goyer, one of the screenwriters behind Christopher Nolan's The Dark Knight trilogy. The first episode is available on Amazon Prime Instant Video now, with future episodes appearing "hours" after their first airing in the States on NBC. "It’s the one night of the year when audiences around the world are looking for a fright, so we're delighted to be making the UK exclusive first episode of Constantine available to Prime Instant Video customers this Halloween," said Chris Bird, director of content strategy at Amazon Instant Video. The opening episode Non Est Asylum impressed me and Constantine was added to my Watchlist without hesitation. Nikita fans rejoice. Lyndsy Fonseca is joining Marvel's Agent Carter as Angie Martinelli, an aspiring actress who befriends Peggy Carter (Hayley Atwell) in New York. 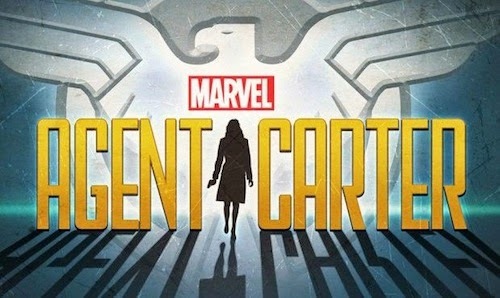 Jeph Loeb, Marvel's Head of Television, tells Marvel.com, "Marvel's Agent Carter opens up an exciting world of new characters for us. Lyndsy brings a warmth and humanity to Angie, who'll be the friend Peggy needs if she's to survive the dangers that lie ahead." Marvel's Agent Carter mini-series airs during Agents of S.H.I.E.L.D. 's midseason break on ABC. "Dammit, Hydra" Marvel tweeted following the leak of Age of Ultron's teaser trailer ahead of its world premiere during Marvel's Agents of S.H.I.E.L.D. next Tuesday. So, it's unleashed the trailer online. It's the Marvel Cinematic Universe amped to the nth degree. James Spader's Ultron is channeling Pinocchio and breaking free of creator Tony Stark with devastating consequences. Phase II will culminate in a bombastic finale to eclipse events witnessed at the end of Phase I. 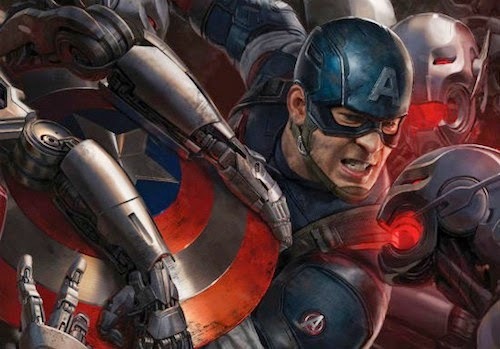 Age of Ultron trailer debuts in Agents of S.H.I.E.L.D. The first trailer for Avengers: Age of Ultron, directed by Joss Whedon, premieres during Marvel's Agents on S.H.I.E.L.D. next Tuesday and presumably online thereafter. If Arrow, Gotham and Marvel's Agents of S.H.I.E.L.D. aren't enough to satiate your fervor for live-action crime-fighting on the small screen. 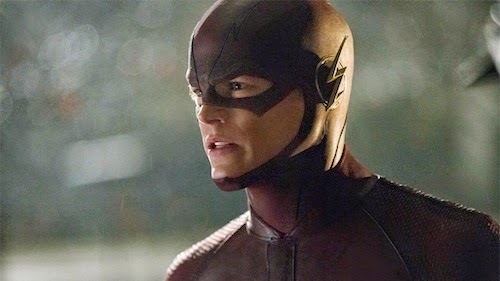 Arrow's spectacular spin-off The Flash enters the fray on Sky1 on Tuesday October 28th. After a particle accelerator causes a freak storm, CSI Investigator Barry Allen is struck by lightning and falls into a coma. Months later he awakens with the power of super speed, granting him the ability to move through Central City like an unseen guardian angel. Though initially excited by his newfound powers, Barry is shocked to discover he is not the only "meta-human" who was created in the wake of the accelerator explosion -- and not everyone is using their new powers for good. Barry partners with S.T.A.R. Labs and dedicates his life to protect the innocent. For now, only a few close friends and associates know that Barry is literally the fastest man alive, but it won't be long before the world learns what Barry Allen has become... The Flash. Arrow Series 3 premieres the same week as The Flash on Thursday, October 30th. 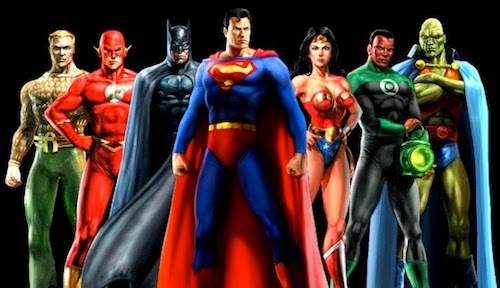 Warner Bros. delivered a statement of intent during the company's investor conference today. DC Comics' animated series have bested Marvel's since Batman: The Animated Series. It'll be interesting to see whether or not that success translates to the big screen on a scale to rival Marvel's Phase I, II and III. 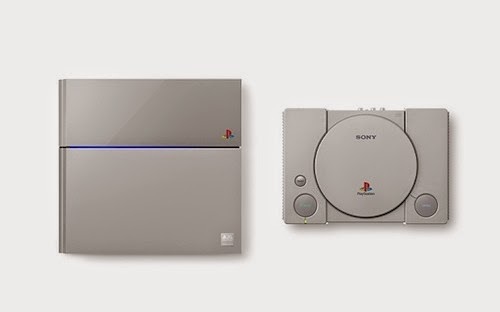 Are you excited about today's announcement? Let me know in the comments below. 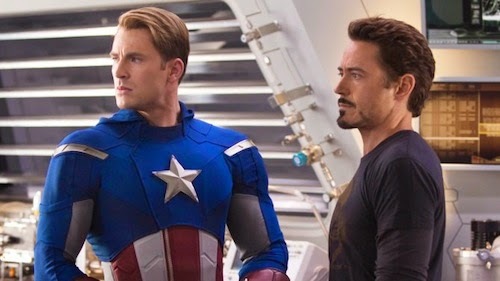 According to industry paper Variety, who got the exclusive, Robert Downey Jr. will be joining Chris Evans' Captain America as Marvel's Civil War storyline shatters the Marvel Cinematic Universe in Captain America 3. If The Winter Soldier is anything to go by; the Civil War will send shockwaves throughout the Marvel Universe including Agents of S.H.I.E.L.D., which was bolstered by events in The Winter Soldier after a stuttering start. Hail Hydra! The thought of Iron Man vs Captain America is much more compelling than Batman v Superman: Dawn of Justice, and we've yet to see Avengers: Age of Ultron. It's worth noting Spider-Man had a pivotal role in the original Civil War comic book series, Marvel's rebooting the comic book series in 2015 and Disney is purportedly in negotiations with Sony on closer tie-ins. My spider-sense is tingling. Do you think Tony Stark will be the main villain? Let me know in the comments below. James Earl Jones reprises his iconic role as the voice of Darth Vader in an alternate version of Star Wars Rebels: Spark of Rebellion on ABC this October! Impressive. Most impressive. The critically-acclaimed epic adventure Star Wars Rebels: Spark of Rebellion will air on ABC on Sunday, October 26 (7:00 p.m. ET/PT). Executive Producer Dave Filoni states, "We wanted to do something special for the ABC broadcast. We've added a scene which gives audiences insight into the Inquisitor and includes a cameo by Darth Vader voiced by the distinguished actor James Earl Jones." The television movie Star Wars Rebels: Spark of Rebellion delivered 6.5-million viewers in its premieres on Disney Channel and Disney XD around the world including the U.S. and 16 markets in Europe, Middle East and Africa and Canada. The Star Wars Rebels weekly series on Disney XD (Mondays 9:00 p.m. ET/PT), has been renewed for a second season. Set between the events of Star Wars Episodes III and IV, the Star Wars Rebels story unfolds during a dark time when the evil Galactic Empire is tightening its grip of power on the galaxy. Imperial forces have occupied a remote planet and are ruining the lives of its people. The motley but clever crew of the starship Ghost – cowboy Jedi Kanan, ace pilot Hera, street-smart teenager Ezra, the "muscle" Zeb, warrior firebrand Sabine, and grumpy old astromech droid Chopper – will face threatening new villains, embark on thrilling adventures and become heroes with the power to ignite a rebellion. Star Wars Rebels is created by Dave Filoni (Star Wars: The Clone Wars), Simon Kinberg (X-Men: Days of Future Past, Sherlock Holmes), and Carrie Beck. The Lucasfilm Animation production is also executive-produced by Filoni and Kinberg as well as Greg Weisman (Gargoyles). 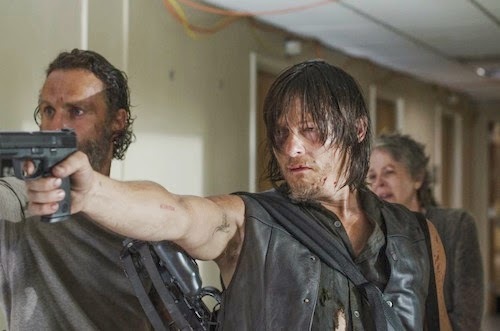 The Walking Dead has been renewed for a sixth season ahead of the fifth season premiere this Sunday on Fox. 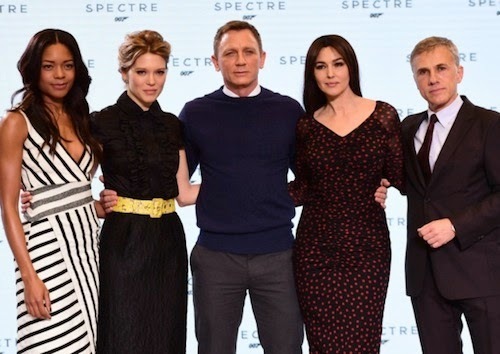 The episode will be shown the following day in the UK. There's no news on whether or not there'll be a simulcast as with 24: Live Another Day and Game of Thrones, which is a missed opportunity. A spin-off to The Walking Dead is currently in production and will be set in another part of the world. 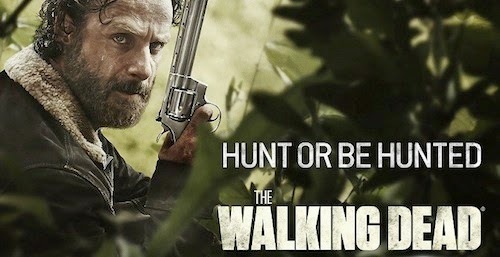 The pilot is penned by Robert Kirkman and Dave Erickson. The Walking Dead S1-4 box sets are available to binge-view on NOW TV as part of the Entertainment Month Pass for just £4.99 a month until 16th October, £6.99 a month thereafter. No contract. Pay attention, rebel scum, this review contains spoilers. If you don’t want to know what happens in the pilot episode of Lucasfilm and Disney’s new joint venture ‘Star Wars Rebels’ then I suggest you close your blast shield and move along. If, however you've seen the episode then this is the review you’re looking for. The Disney alliance with Lucasfilm has spawned its first franchise. ‘Star Wars Rebels’ is a new animated series from the creative team behind ‘Star Wars: The Clone Wars’. Set between ‘Revenge Of The Sith’ and ‘A New Hope’, the show concentrates on a fledgling Rebel cell, half acting as a resistance to the Empire, half as mercenaries. It begins on a backwater planet called Lothal when a young street rat named Ezra (voiced by Taylor Gray, looks borrowed from Disney’s ‘Aladdin’) interrupts an attempt by Kanan (Freddie Prinze Jr.) to hijack a shipment of Imperial blasters. Kanan’s backed up by his team: Zeb, the group’s tank, a lumbering Lasat warrior; Sabine, a lithe Mandalorian with a penchant for explosives (looking like a Knight Sabre from ‘Bubblegum Crisis’); Hera, the group’s Twi’lek pilot and Chopper, an Astromech droid who basically acts like R2D2’s grumpier younger brother. The action picks up quickly, the hijack attempt turns into a speeder bike chase that naturally echoes ‘Return Of The Jedi’, except this time taking place on the busy streets of Lothal’s capital city. Ezra manages to escape the Imperial troops and is rescued by Kanan who is startled to see him perform a super-human jump. It is clear the Force is strong with him. As Ezra is introduced to the group, we also meet one of the Empire’s chief Rebel hunters, Inspector Kallus of the Imperial Security Bureau. Voiced with authoritative menace by ‘[Spooks]‘ actor David Oyelowo, Kallus has been charged with finding Rebels and eradicating them. 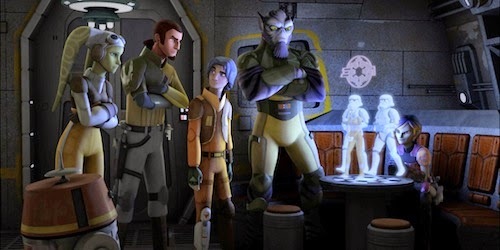 Using false information, he lures Kanan’s team and their ship, the Ghost, into a trap and Ezra is forced to work alongside the rest of the team. ‘Star Wars Rebels’ is certainly closer in tone and look to the original trilogy rather than the prequels. With Disney maintaining a weather-eye over production away from the ever-tinkering perfectionist George Lucas, the animation style seems to have been a little simplified, but not overly so. The angular look of ‘The Clone Wars’ series, chosen to reflect the puppet series of Gerry Anderson, has been retained, if softened. Stormtroopers, TIE Fighters and Star Destroyers are all present. The Ghost, Kanan’s ship, looks rather snub by comparison and its capabilities are only really hinted at. Only a young-looking hologram of Obi-Wan Kenobi once again voiced by ‘The Clone Wars’ James Arnold Taylor links the new series to the prequel trilogy and TV series. The music borrows heavily from the Original Trilogy, too. Once again, David Filoni and his team have successfully found a balance between appealing to children and providing an action-packed show. 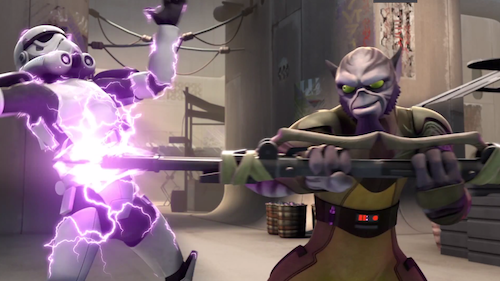 Kanan’s introduction, sliding from a speeder bike and shooting a Stormtrooper in the face demonstrates that the show isn’t willing to pull its punches for the Disney XD audience. 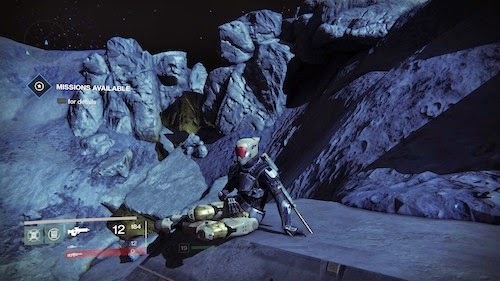 The appearance of the Inquisitor, at the show’s conclusion, gives chills. It’s clear that he is not simply interested in Rebels but is instead looking for Jedi that may have escaped Order 66. He is voiced by Lucius Malfoy himself voiced by Jason Isaacs. ‘Spark Of Rebellion’ is therefore a highly enjoyable new entry into the ‘Star Wars’ universe. It introduces new characters well and, if the promises are to be believed, should deliver on a few unexplored areas of the saga. For example, what happened to the Clone Troopers, the missing Jedi and how did the Rebel Alliance begin? 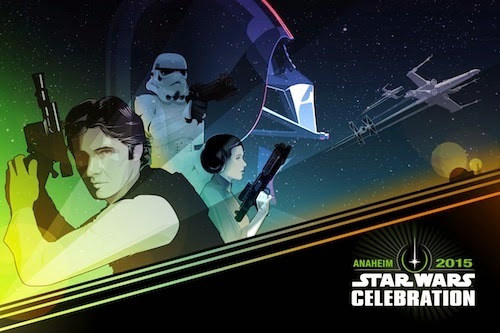 I’ll freely admit, when Kanan and Ezra are pinned down by Stormtrooper fire and Kanan reaches for his lightsabre and says, ‘Kid, I’m about to let everyone in on the secret’, the hairs on the back of the neck of this old ‘Star Wars’ fan stood up. 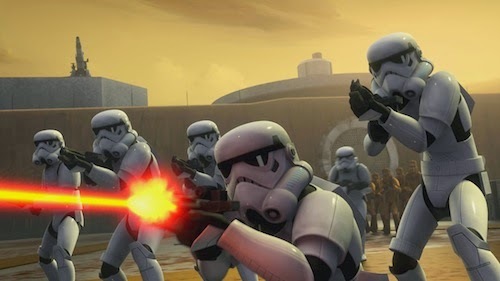 While ‘The Clone Wars’ was a non-linear show consisting of three or four part stories, utilising a vast array of characters, it will be interesting to see how ‘Rebels’ focuses on a much smaller cast, but retains the depth of storytelling. I’m making sure I access the Holonet for episode 2, the week after next. ‘Star Wars Rebels’ is currently airing in the UK on Disney XD. This review originally appeared on SF crowsnest. Prop Store is proud to announce its first live auction event produced in partnership with Vue Entertainment. In the most exciting sale of its kind, over 375 original film and television props and costumes will go under the hammer on October 16th Vue’s flagship cinema in Westfield, London. The public will be able to get up close and personal with some of the most valuable and iconic pieces on offer throughout a free two week exhibition at Vue Westfield from 1st October. 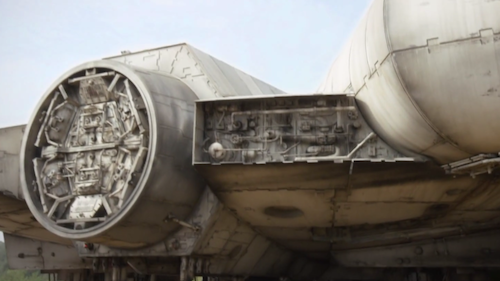 Here's an example of what Star Wars fans can expect to see and bid for. In the summer of 2013 I won a Pyramid Chamber Ampule (Prometheus) prop prize from NOW TV and can attest to the quality of Prop Store movie collectibles. Disney has, unsurprisingly, announced its renewing Star Wars Rebels ahead of the new series' premiere tomorrow on Disney Channel. Early reviews are encouraging for the follow up to The Clone Wars. 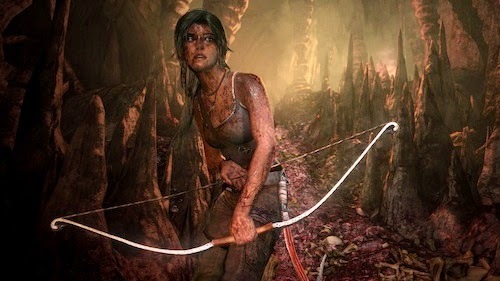 Much has been made of its alleged 'childish' art style. However, the creative team have alluded to a darker direction. Will you be watching the premiere? Let me know in the comments below. A plethora of A-list Hollywood directors were linked with Star Wars: Episode VII before JJ Abrams took the helm, and he turned the gig down first time around. "I talked to Kathy about it, but I think that it’s a different thing from… I don’t know what Disney-Lucasfilm will be like. It’s tricky. My favorite is The Empire Strikes Back. If I said, ‘I want to do something more like that,’ then I’m sure the people paying for it would be like, ‘No! You can’t do that! We want it like the other one with all the creatures!’ I always thought of Star Wars as the story of two slaves [C-3PO and R2-D2] who go from owner to owner, witnessing their masters’ folly, the ultimate folly of man… I thought it was an interesting idea in the first two, but it’s kind of gone by Return Of The Jedi." Whilst Fincher may not be directing Episode VII, there's no reason to conclude he may never be attached to a spin-off movie at Disney. Plus he got his career break working as an assistant cameraman on Return of the Jedi. 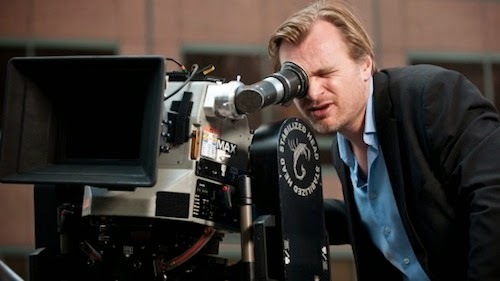 Do you wish David Fincher had directed Star Wars? Let me know in the comments below. Star Wars Rebels movie Sparks of the Rebellion premieres around the world this Friday on the Disney Channel. The new series starts the following week exclusively on Disney XD. Checkout this extended trailer featuring a cameo from a classic Star Wars character. Does Rebels live up to its critically-acclaimed predecessor The Clone Wars and the original trilogy? The Bearded Trio's Rob Wainfur has posted a spoiler-free review. 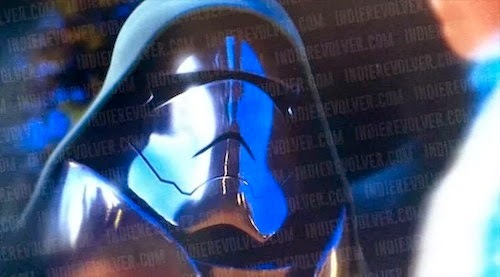 No, you're not looking at a Cylon Centurion from Battlestar Galactica, but a chrome Stormtrooper from JJ Abrams' upcoming Star Wars: Episode VII. That's according to the latest rumour percolating around the internet. In further Stormtrooper-related news. Actor Oscar Isaac talked to Entertainment Weekly. "There’s a lot of enthusiasm and it’s being done with a lot of heart," Isaac promised. "There’s nothing cynical about the way we're doing this. Even in the way [Abrams is] shooting it—he’s shooting on film and actually building the sets, so you've got hundreds of Stormtroopers or whatever, and hundreds of extras and all the ships. You actually see it. It’s all real. 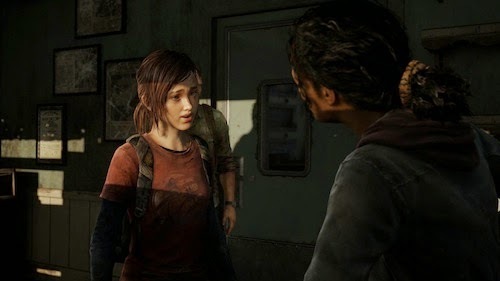 Everyone can interact with the world. "I'm constantly looking for a cheesy line to say to harken back to the old ones. No, what they're trying to do and what’s really great is J.J.’s been loosening it up a little bit and trying to make it alive and energized. It’s not formal. They're messy, energized people. We've all intentionally tried to do that. Just make it a little more fiery and messy." 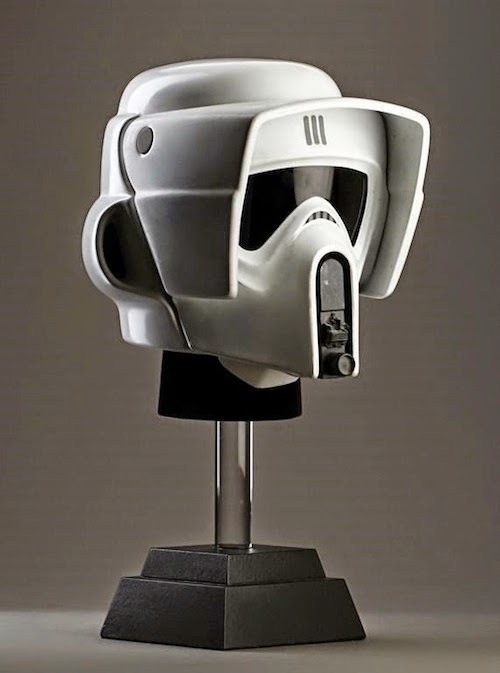 Do you think chrome Stormtroopers are cool? Let me know in the comments below. Hot Toys, acclaimed for its detailed sixth scale collectible action figures including Batman, Iron Man, Captain America, Thor, The Avengers, and more, kicks off its new Star Wars collection with Han Solo and co-pilot Chewbacca from Star Wars: Episode IV A New Hope. Star Wars fans shouldn't pass up the opportunity to add this beloved duo to your collection! You can pre-order today. 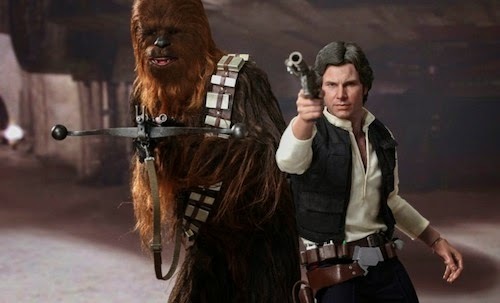 Have Hot Toys captured a good likeness of Han Solo and Chewbacca? Let me know in the comments below. NOW TV's app for Apple TV has been updated with Sky Movies Month Pass and Entertainment Month Pass. Both were conspicuous by their absence when NOW TV launched on Apple's streaming device with only Sky Sports Day Pass last year. The Sky company recently announced support for Google Chromecast. So, this is most welcome. 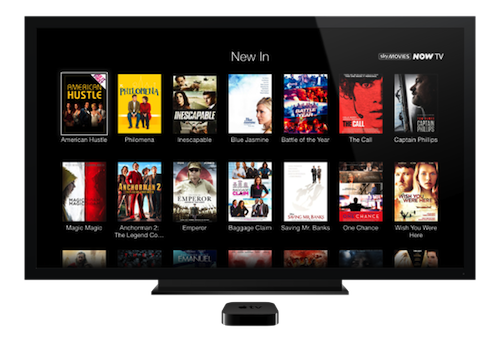 "Great news for Apple TV users today as we bring our range of NOW TV passes to the service," said Gidon Katz, director of the service. Rekindled my enthusiasm for The Walking Dead by binge-viewing S1-3 box sets on NOW TV! This post-apocalyptic soap noir with zombies continues to present some of the most stunning cinematography on television (or the big screen for that matter), and I'm in for the long haul. S4 is available to stream from 1st October. The Sky Movies Month Pass and The Entertainment Month Pass are increasing to £9.99 and £6.99 respectively from 16th October. The price increase was delayed earlier in the year. Subscribers can enjoy watching The Ryder Cup 2014 in Gleneagles exclusively on Sky Sports 4 this week. New customers get 10% off the Sky Sports Day Pass. Offer ends 9th November. Are you subscribing to NOW TV? Let me know in the comments below. 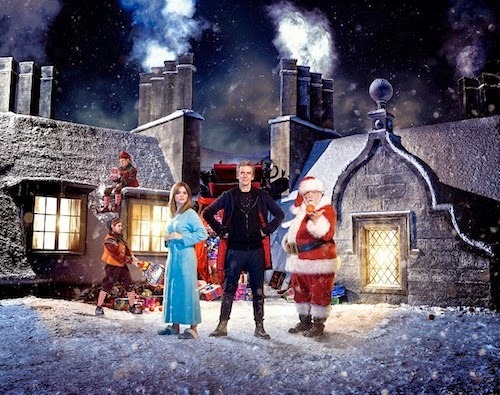 The BBC's official Doctor Who Twitter account teased the guest stars appearing in the upcoming Christmas Special. 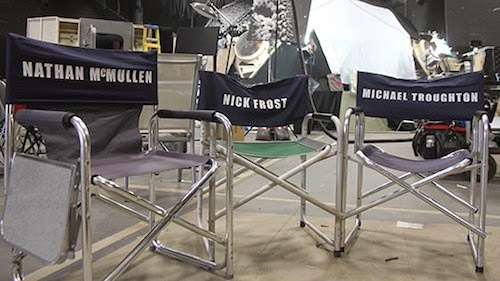 Peter Capaldi and Jenna Coleman will be joined by Nathan McMullen, Nick Frost (Hot Fuzz) and Michael Troughton, who is the son of Doctor Who star Patrick Troughton. Nick comments: “I'm so thrilled to have been asked to guest in the Doctor Who Christmas Special, I'm such a fan of the show. The read-through was very difficult for me; I wanted to keep stuffing my fingers into my ears and scream 'No spoilers!' Every day on set I’ve had to silence my internal fan-boy squeals!" Nick Frost's creative collaborator Simon Pegg (Shaun of the Dead) is no stranger to adventures in time and space. Pegg appeared in S1 episode The Long Game. Are you excited for the Christmas Special? Let me know in the comments below. Entertainment Weekly recently interviewed Anthony Daniels and the veteran Star Wars actor talked about Episode VII and Rebels. "I will tell you that when [director] J.J. Abrams rang me to ask about filming Episode VII, one of the first things he said after he told me how wonderful I was — and that didn’t take long — but he then said, “Would you be interested in being in the film just doing the voice?” I said, “No,” and he said, “Right!” He knew I’d say that. There’s no way I would just do the voice. 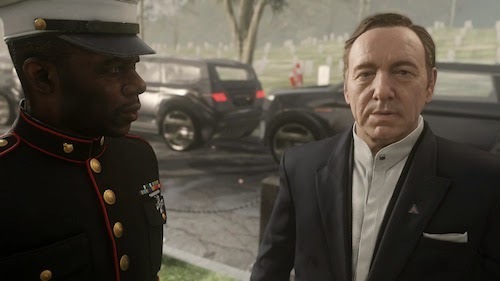 I also said that it can’t be the same suit. I will tell you that the team then got together and built a new suit. They made an entirely new look-a-like with changes that you will never notice [on screen] that made my life a lot easier. I can get it on and off very quickly. 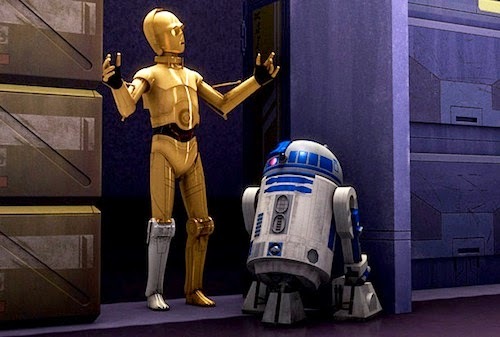 [During the prequels], the only time [Threepio has] been CG was when it was very dangerous [to act in the scene in a suit] — and it wasn’t very good. In fact, I’m going to say it was awful. One of the difficulties is with a character that you know and love so well is that, as a member of the audience, you go, “Oh no, that’s not right. No, he doesn’t move like that.” With me [in the suit], he’s always going to move the same way and have the same reactions, timing, and so on. With CG, you’re working with some brilliant person on the keyboard who is trying to pretend to be me. The only time that has worked without doubt is Disney’s Star Tours: The Adventures Continue [theme park ride]. There’s an element in the pre-show which is digital and I cannot tell it’s not me. It’s brilliantly done by Disney. In a cartoon series like Rebels, you accept it because it’s not trying to pretend to be reality. It’s an extension, it’s an exaggeration. On that basis, it’s utterly acceptable — providing the characterization is correct." Daniels' candour is refreshing and his enthusiasm for both Episode VII and Rebels is infectious. "It’s very elusive and I’ll tell you: It’s where we’re going now with Episode VII. We’re all back. And it’s great, actually, that Rebels is set before Episode IV because that film is quintessential basic, “This is Star Wars.” And you know George always used to say every time I arrived on set, I would always arrive for the first time back on set in costume, and during the prequels George would say when I arrived on set that “Star Wars has arrived” — because I was the old fashioned link. Rebels is is an old fashion link to the old fashion film, which which we all loved. 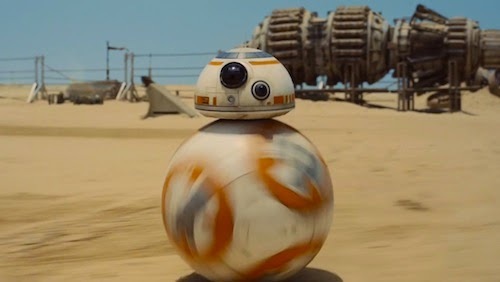 And you will love Episode VII — I have electrodes strapped to my head to zap me if I say anything more about it." Read the in-depth interview on EW. 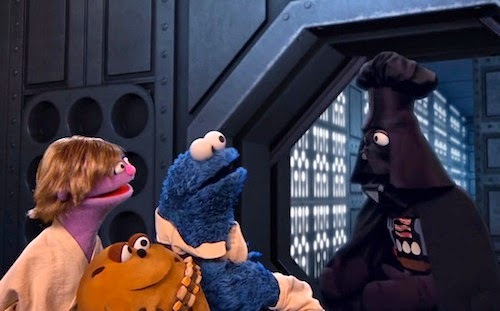 Sesame Street's Star Wars parody stars Chewie cookie! Star S'Mores is a peach of a parody and follows unlikely heroes as Cookie Monster tries to learn self-control and rescue the Princess from the evil Empire. 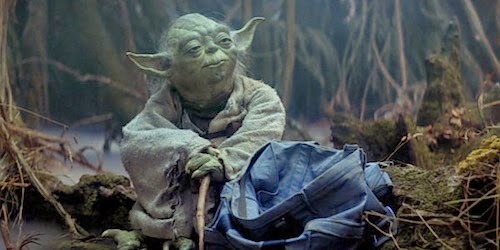 Hearing Frank Oz's Groda, a mashup of Gonzo and Yoda, is a highlight. What fun! Obi-Wan Kenobi Star Wars spin-off movie in the works? 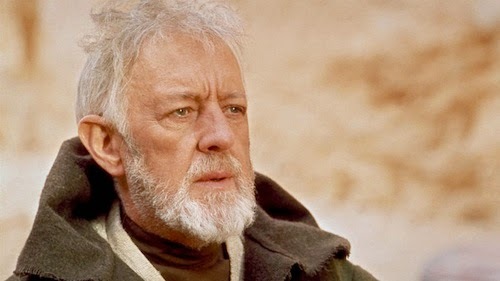 Making Star Wars reports Obi-Wan Kenobi may be the next Star Wars character to receive his own spin-off movie at Disney. "I’ve heard from quite a few people now that an Obi-Wan Kenobi movie is in the works..."
Lucasfilm has already confirmed Gareth Edwards and Josh Trank are directing two spin-off movies. So, whilst this is a rumour, the Mouse House has made a statement of intent with regards to standalone Star Wars movies in addition to the new trilogy, which begins with Episode VII in December 2015. 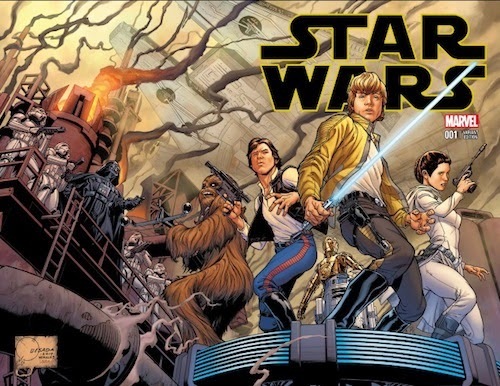 Which Star Wars character would you like to see in a spin-off movie? Let me know in the comments below. Director JJ Abrams has a passion for intrigue and unseen mystery. 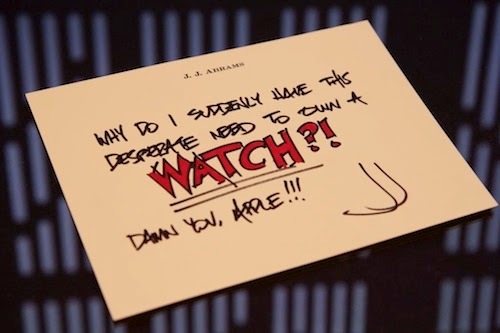 This is self-evident in his Bad Robot tweet pertaining to Apple's Watch announcement this week. 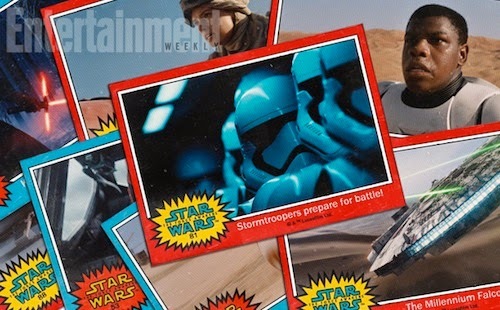 The background design will be familiar to Star Wars fans. It's Imperial in origin and seen aboard the Death Stars and Star Destroyers of the original trilogy. I'd suggest it's most likely foreshadowing the resurgence of the Empire following its defeat at the Battle of Endor in Return of the Jedi. However, some fans speculate there's a new Death Star in Episode VII. Do you think there'll be a Death Star III? Let me know in the comments below.